Since I ran on Sunday, Monday was a mandatory rest day. And then apparently so was Tuesday. 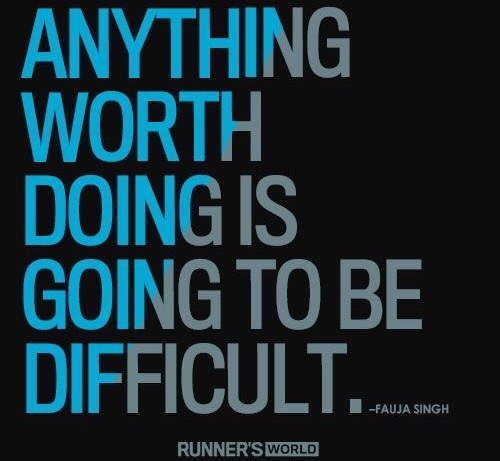 I was tempted to take another "rest day" yesterday (not because I needed it, just because I didn't feel like doing anything) but I got up (at the crack of dawn) determined to do a 5K run. When I got outside yesterday morning and started my warm up walk (1/2 mile lap around my complex) I saw that most of the street (sidewalk?) lights were out. I immediately got nervous. It's weird because sometimes I'm out there running at crazy early hours in the morning and I feel fine. Like I'm invincible. Like I dare anybody to come mess with me! (I'm totally kidding, that's not an invitation). But yesterday I was nervous. Whenever I get that gut feeling that I should not be outdoors, running, in the dark, alone, I stop and go back inside. I live in a safe neighborhood but still... you just never know. My intervals today were 3min run:30s walk. Which worked out to be a little less of the walk break that I needed but not too much less. 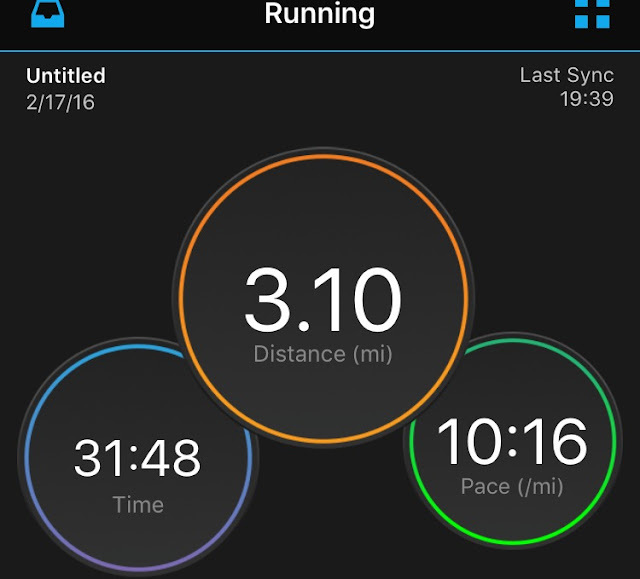 This run ended up being my fastest 5K ever!!!!! This morning I went to the gym and did strength training with my BFF's brother. I wanted to get some help with my form and ensure that I was using the weight machines properly. But we ended up doing free weights because apparently that's the safer option when strength training (who knew??). To be honest free weights intimidate me. I'm more afraid of falling over or dropping something on my foot etc. Plus, I'm not very strong so it's hard to even lift up the weight discs to put them on the metal bars etc. (I didn't end up using anything over a 30lb weight bar for squats and a little more than than for the leg press). Unfortunately I won't be able to do weights again until next week. My training plan has me running tomorrow, swimming on Saturday and doing my long run on Sunday. 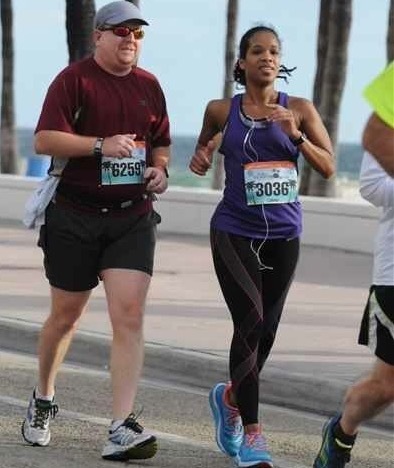 The Sarasota half marathon relay is my next race and my portion of the relay is 7 miles, so I'm not going to run past 8 miles before then. 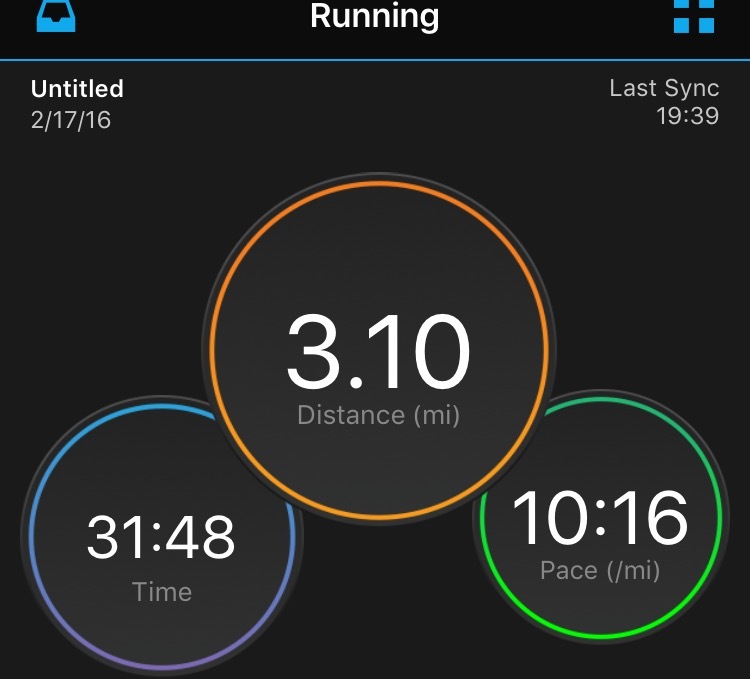 This will actually allow me to give my legs a little break, and gives me the opportunity to focus on improving my pace over a longer distance. 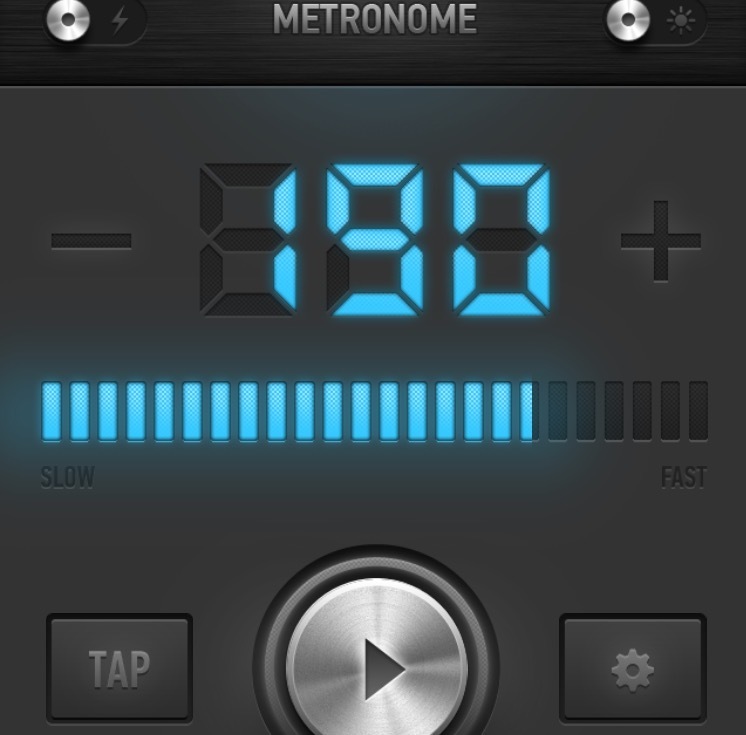 Hopefully with the help of my metronome app I will become more consistent with my pace. Even when I don't order the race photos, I always look at my form. I'm usually self conscious about my feet (but you can't really see how wildly they kick out to the side in this one). 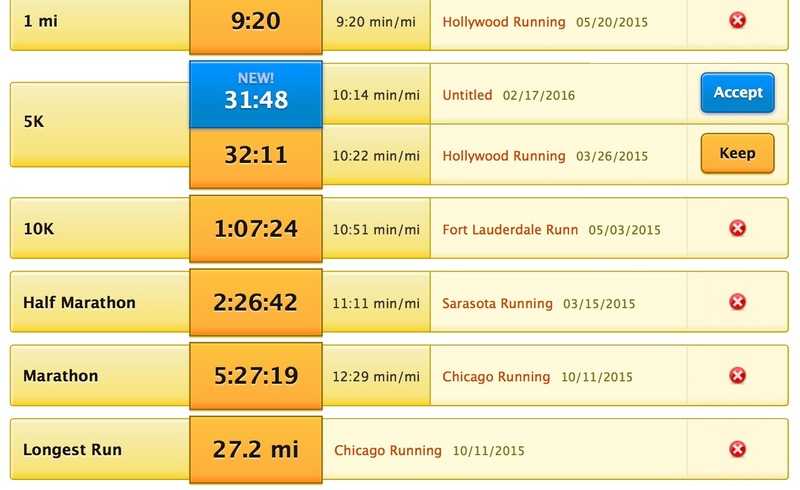 Do you keep track of your fastest distance times for training runs? Do you prefer free weights or the weight machine for strength training? Do you buy your race photos? I have never bought a race photo. Luckily most of the local races around here have their own photographers who take them and share them through social media. For the bigger races, they tend to partner with gameface media. It's really appreciated because I love having them! I've run races where you need to purchase, I just haven't. I've run a few that provided free race photos and then others where the photos are alomst $30 for each digital image. Craziness! I bought my pictures for the Chicago Marathon and will likely do it for the Miami Marathon when I run it next year. Great Run by the way. I see the improvement and the competitiveness in you! It can only get better. I do keep track of my fastest distance when I train... but I have plenty of excuses also LOOL. I guess at the end of the day .... It's the result on race day. I know that eventually weights has to be part of my training, but most importantly be consistent! I am focusing on swimming this summer and hopefully once a week hit the gym. The race photos...... are too pricy! wayyyyyyyyyyy too much! However I've noticed that month's later (8months +) the prices are reduced. But for now I'll settle for the free downloads on Michelob Ultra. Have yourself a productive and great week. I never thought about going back to check for reduced prices. I guess if I want them bad enough but can't afford it initially I need to do that (I'll need to set a reminder to go back and look). I'm working on swimming more also. I really need to be swimming at least twice a week but I have been slacking off in that area. This is really going to sound weird, but I clicked over to your blog from Kristina's and saw you were at A1A, and I recognized you from your picture! I was admiring your tights during the first part of the race :) I hope you had a good time at the race! The race was good and I had great company. It wasn't my favorite course but overall I had a good time. I hope you had a good race too!!!! !